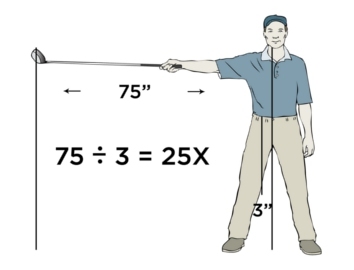 "Any increase in hip speed is multiplied 25X at the club head due to the 25X ratio of the hips to the club head." Somax Performance Institute, the world leader in videotaping, measuring and improving sports mechanics is pleased to announce that its Power Hip Trainer video has surpassed 390,000 views on YouTube. The Somax Power Hip Trainer is the first golf exercise machine to take advantage of the 25X speed multiplier built into every golfer: the ratio of the 3" distance from the hip joints to the center of rotation and the 75" distance of the club head to the center of the body. This means that just a one mile an hour increase in hip speed during the golf swing will add 25 miles an hour to the club head speed. This is why the Somax Power Hip Trainer is the only golf training aid that comes with a money-back guarantee that golfers will add 25 mph to their swing speed in 30 days. 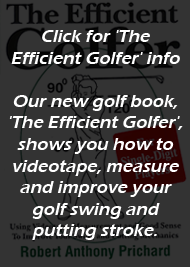 "Every week we get emails from golfers grateful for the distance that the Power Hip Trainer has added to all their clubs," says Somax Performance Institute Director Bob Prichard. "The surprising thing for us has been that it also increases the flexibility of their hips—a boon for older golfers." The Somax Power Hip Trainer is the only all-steel aerobic exercise machine to increase the strength and speed of hip rotation for golf. 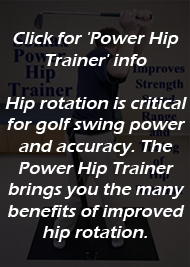 The Somax Power Hip Trainer adds club head speed, but also improves control by transferring work of powering the club from the small forearm muscles to the much larger hip rotator muscles, enabling the golfer to use his arms primarily to control the swing plane and club face. Golfers who purchase the Somax Power Hip Trainer receive weekly helpful hints to get the most out of their new aerobic exercise machine. Golfers have also lost up to 4" off their waist in just two months working out with the Somax Power Hip Trainer. The Somax Power Hip Trainer is easy to set up and easy to store. It consists of a strong, non-slip steel base with a large high-tensile strength steel spring that easily bends to accommodate lateral movement, but still provides resistance to hip rotation. A steel connecting tube that adjusts for different heights connects to a padded steel hip cinch with 2" wide nylon belt to adapt to different hip sizes. All parts are finished with baked-on black enamel paint for years of maintenance-free use. A 2-disc DVD is included that contains drills for both right and left-handed golfers. Golfers also receive weekly emails containing helpful hints to get the maximum increase in hip speed with their new Power Hip Trainer. Since 1970, the Somax Performance Institute has helped athletes of all ages improve their performance by improving their efficiency. Their 17 Olympic athletes have won 44 Gold Medals and have set 11 World Records. Their pro golfers have won the US Open as a rookie, improved their putting from #113 to #1, quadrupled their tour income and increased their longest drive from 295 to 400. Their baseball players have increased their salary from $500,000 to $1.75 million after increasing their bases stolen, increased their long ball from 400 to 480, increased their velocity and strikes thrown, and reduced their 40-yard time from 4.9 to 4.27.